At Galileo, we believe that summer camp should be loads of fun and profoundly enriching at the same time. Our camp offerings include Camp Galileo (pre-K – 5th grades) and Galileo Summer Quest (5th – 8th grades). Families in the Bay Area can also choose from Summer Camps @ The Tech (4th – 8th grades) classes hosted at The Tech Museum of Innovation in San Jose, CA. 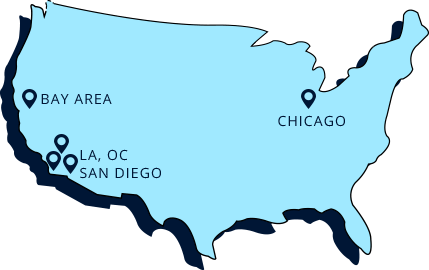 With locations throughout the Bay Area, Southern California and Chicagoland, wherever you live, there’s a convenient camp nearby.